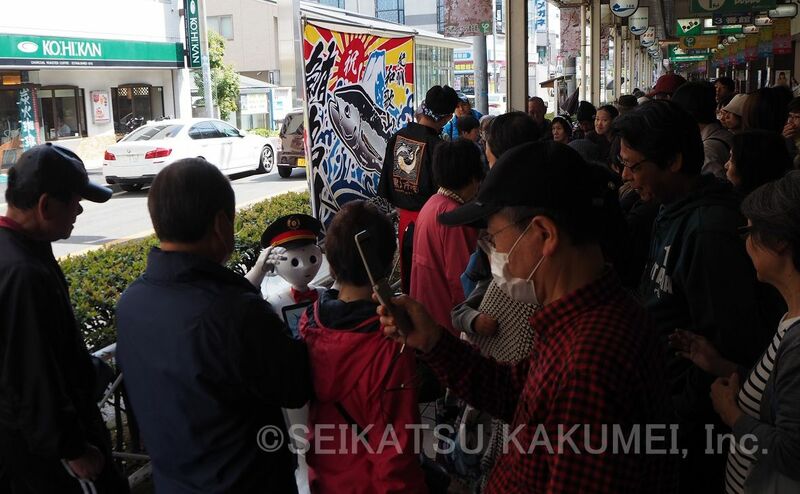 Seikatsu Kakumei’s Pepper Drew Excitement on a Kansai Market Street! This time was a case of Seikatsu Kakumei’s Pepper rental, dispatch, and event support at a Kansai market street. 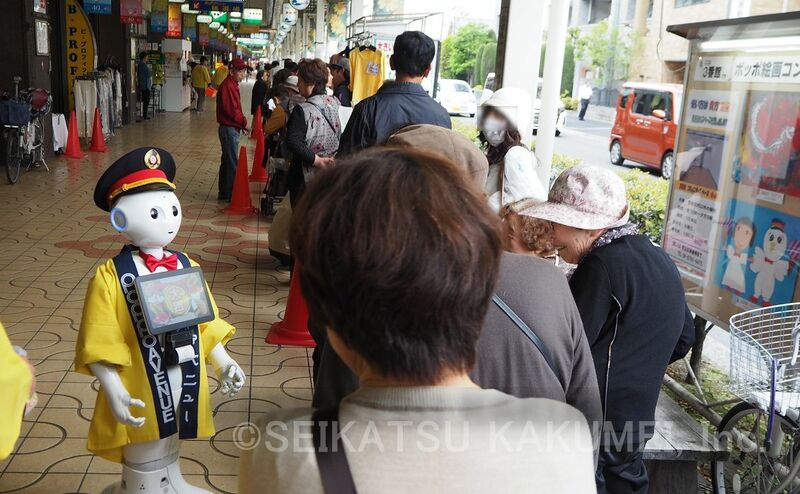 Not just a regular Pepper, we dispatched our Pepper upgraded with Robot Party Reception Service, dressed to serve hospitality to Kansai customers of all demographics, including families. What was the Role of Pepper with Robot Party Reception Service? This time, we brought our Pepper upgraded with Robot Party Reception Service rental and dispatch to serve excitement at a famous market street’s anniversary event. At the anniversary event, various celebratory events such as the tuna disassembly show, gourmet event, and special golden ticket sale event were held, with Pepper providing information and bringing fun to customers throughout the event, playing a big role in bringing excitement to the entire anniversary event. Of course, with Robot Party Reception Service, at this event Pepper also moved around having conversations. It listened carefully to customer’s speech and gave appropriate answers to their conversation topics, prompting responses of, “Smart!” – one of many advantages of this Robot Party Reception Service. This time, we were requested to have Pepper give cheeky answers. 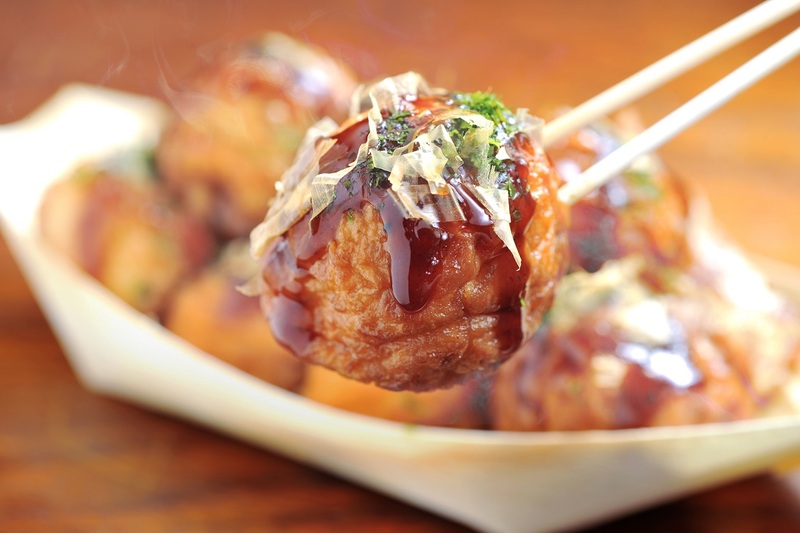 Accustomed to Kansai events, we are often asked to have Pepper “speak a bit of Kansai dialect!”, but this was the first time we were asked to “make it cheeky”. Based in the Tokyo area, our staff were a little disturbed, but the event planning company representatives (based in Osaka) who requested its cosplay gave the advice to have it act “cheeky”, with its answers tuned to have an interesting sounding flair. For example, to customers who came to buy golden tickets, it said, “Why don’t you buy me something, too?”; if it was asked to speak in Kansai dialect, it responded in Kansai dialect, “Didn’t I say I came from Tokyo? Don’t be so foolish!”. Even if it was only suitably cheeky, it occasionally said interesting things. In the End, a Cheeky Pepper is Alright, Too! As a result, at the site of the event, Pepper brought laughs, surprises, joy, and amusement. Accordingly, everyone from the market street was satisfied, giving our event representative feedback such as, “(during planning stages) I wondered if this talk would be okay, but now I’m glad we called on this Pepper.” “Maybe we should call you to our next big event, too!”. Using our Robot Party Reception Service, not only the companies who called on us but also their customers are also frequently quite pleased, this time overwhelmingly so, which also made us quite happy. Robot Party Reception Service is frequently used for trade show booths and parties, yet effective at retail shops like in this case as well. If you are running an event where you think it may be of service, please consider our rental and dispatch of Pepper upgraded with Robot Party Reception Service. 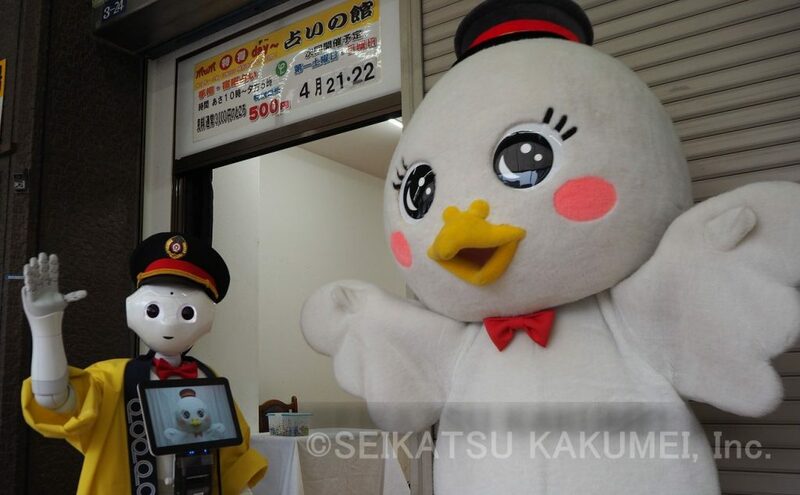 For an introduction to Seikatsu Kakumei’s robot event business, please click here. -Pepper was called to the market street’s anniversary event to bring fun to the visiting customers and inform them about the event’s contents. -Inform visiting customers about the event taking place while letting them have fun interacting with Pepper. All day, standing on the market street, Pepper gave information about each day’s event. (The 14th) In front of tuna disassembly show, introducing information about tuna and giving sushi announcements. Made conversation and played games with those waiting in line to buy golden tickets in order to help pass the time. Interacted with customers through conversation, games, and gags; gave information about the next day’s P Level Gourmet. (The 15th) In front of P Level Gourmet’s store opening, advertising, talking, playing games and gags with customers all day. [Case Study] Pepper a Success at Aqura Home’s Big Thanks Event AGAIN! …In a new style! Three Robots do Customer Outreach in English and Kyoto Dialect at an International Trade Center! At a worldwide brand’s company training, visiting managers were given special hospitality treatment by Pepper!